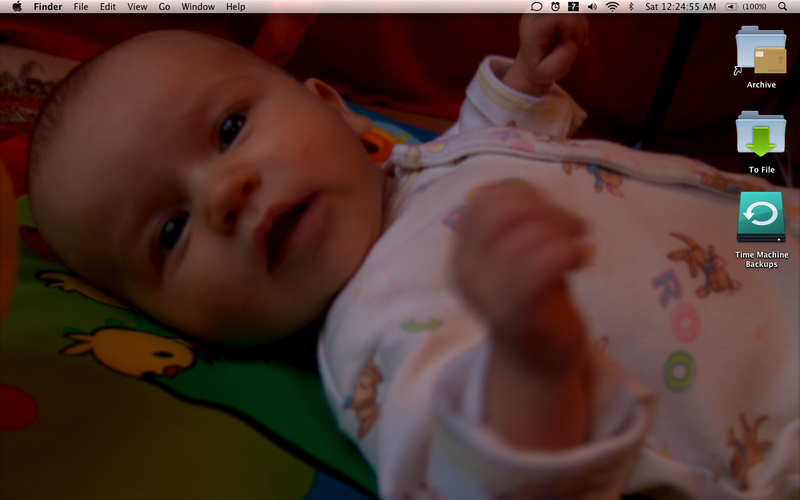 Show of hands, how many of you have one of the following sub-optimal desktop wallpapers? One of the ones packaged with the OS. A technically and compositionally godawful family photo. A picture that is too small and must be centered, tiled and stretched. At this point you’re probably flustered. Where in the world could you find a picture of the proper size that isn’t of your child and wasn’t provided by the nice folks at Apple/Miscrosoft(/Linux)? Luckily there are plenty of places. David Lanham has wonderful stuff for both widescreen and fullscreen displays, however, I have found that they look a little funky with Leopard’s transparent menu bar. My favorite site for wallpapers is the oddly named Pixel Girl Presents. You can search by style, artist and, best of all, screen dimensions. Although the selection is somewhat limited, you should be able to find something you like (unless you’re some kind of super manly-man). However, it’s not as simple as just finding one that you like and that fits. You have to think about whether you will be happy staring at it all day (it’s like choosing a paint color). 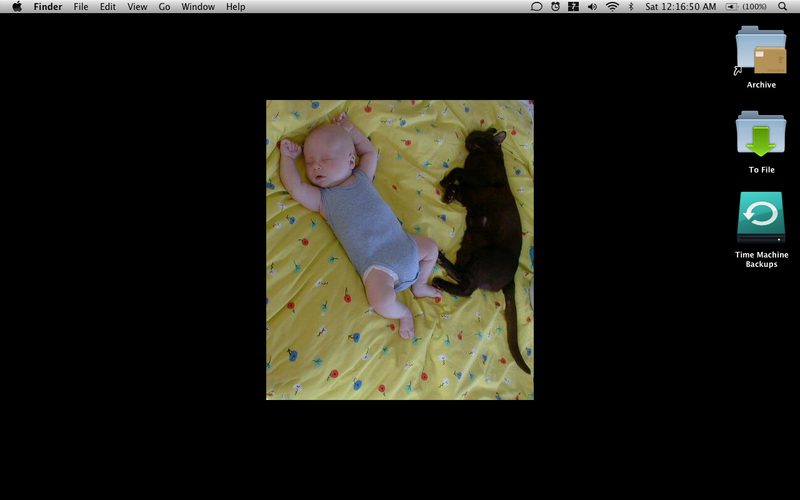 I try to shy away from sad wallpapers because I don’t want depressing thoughts sneaking in to my head. I also look for colors I like and, finally, I don’t like it when desktops bear the logo or name of the artist. Sometimes you can crop it out, but other times it may be best just to keep on looking (or, you could decide to not be super obsessive like me and just deal with it). 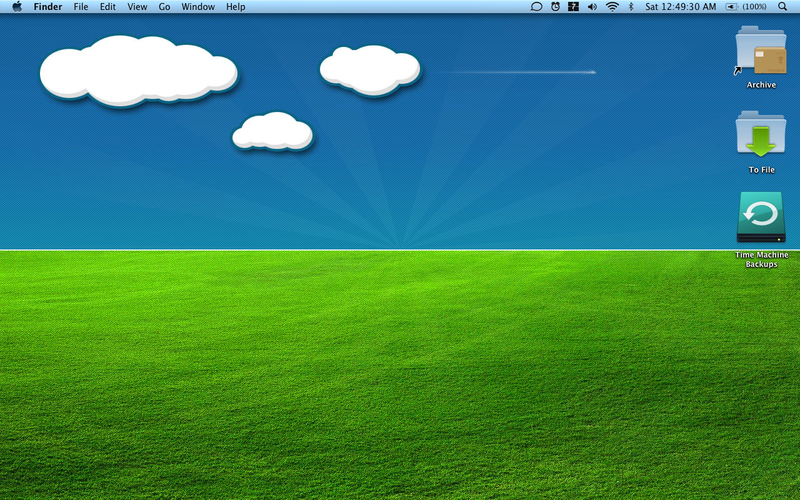 Finally, make sure it is a desktop you will be happy with people seeing. Avoid explicit images in general and just use common sense (don’t have a pink teddy bear as your wallpaper if you use your computer during football practice and don’t use the gay pride flag as your desktop if you’re working on Mike Huckabee’s campaign). Although your desktop wallpaper may seem like a trivial thing, it really can be pretty important because you spend a lot of time looking at it. Overall, choose a wallpaper that you like, fits well and won’t depress you (and won’t get you fired…or lynched).